Yes, a fantastic marketing ploy. Why else would Apple do it? Because they really, really care? Let's not be naive. Yes, it is the Catholic Church, which is a single entity. The ignorance is strong on this one. It's owned by the French ministry of Culture. And for your information, it's also a UNESCO world heritage site, so this is equivalent to the Colosseum being destroyed. Have some respect for such sites, it's a piece human history for all our future generations to learn from, it's got nothing to do with religion or money at this point. 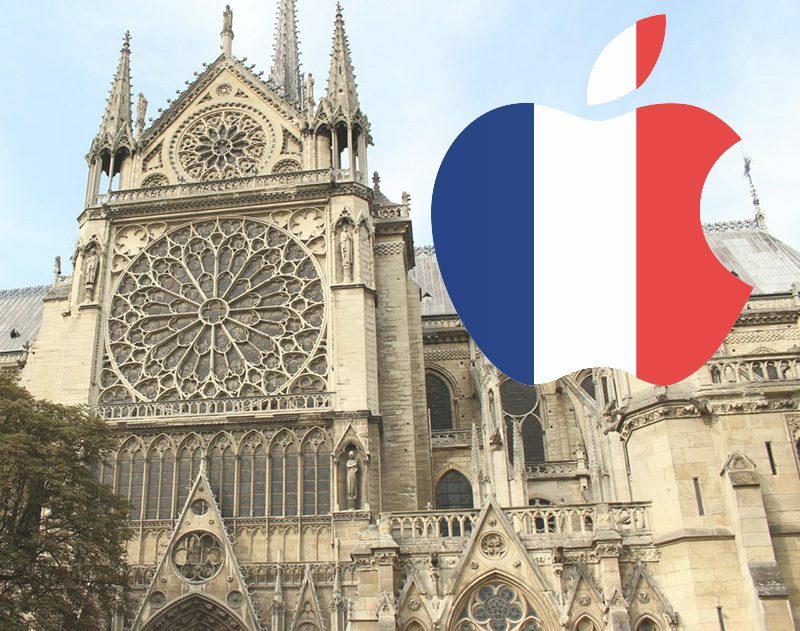 new apple store inside the notre dame? Why is apple donating? The church has more money than most governments. There goes Tim donating money again. Why isn't he in his garage wrenching on the new Mac Pro???? Agreed! If Steve was still here he'd be down on the production line soldering the components and single-handedly leading the design, manufacturing, R&D, prototypes, and engineering. Tim CROOK on the other hand just thinks other people should deal with this stuff while he worries about things like stock, or managing the operations. What kind of CEO does that? French churches are owned by the French state and funding depends solely on how charitable the government feels like. Before the fire it has been living with just 2 million euros each year, it's a miracle that it is still standing given how pathetically little amount of maintenance it has been receiving. I'd also argue since the day of iTunes store's launch, artistic stewardship became an untold focus of Apple, and Jony Ive's near-insanity obsession with form confirms just that. Apple has been convincing the world it embodies art, and when a crisis situation like this one hits, making a statement is in Apple's interest. Also don't forget the Notre Dame remains an engineering marvel. Apple products are engineering marvels. They go hand in hand. Notre Dame doesn't belong to the Catholic Church, it belongs to the French Republic. Currently French companies have reached 600 million euros (678 MUSD). It already seems like a race to see to gives the most. The stone walls still stand, but I wonder how much the heat has weakened them. I fear the restoration will take decades at the very least. Vive la France! Vive Paris! Super depressing watching this all go down yesterday, and even with rebuilding it staggers the mind to think of everything that was lost. “The church" is not a single entity. The level of ignorance in this thread is astounding! "The Church" does not own the Notre Dame Cathedral. The Cathedral is a beautiful and historic building. Thank you Apple, and everyone else who is pitching in to restore this building. It's horrible that it happened, but now efforts need to be positive to restore it.